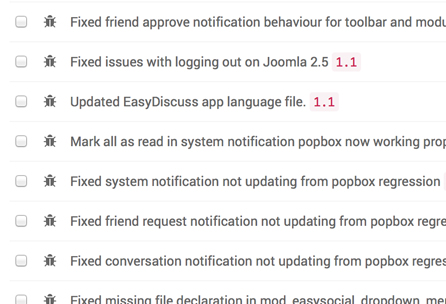 Turn your important project commits into a changelog with a single click. Why Spend More Time When You Can Save More? ChangeLogHQ works out of the box with famous source code hosting providers! Time is of the essence when building great software. 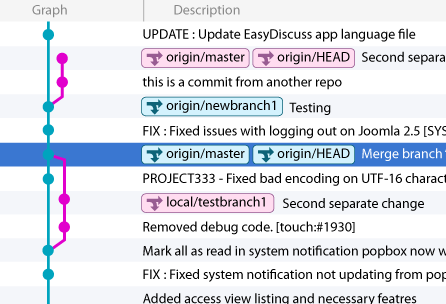 In ChangelogHQ, we make it easy for you to navigate in between commits with filters. By filtering the categories, you save precious time in accessing the right information any time when you need it. In software development, working in teams ensure software delivery in a timely manner. As your project grows, your team grows too and ChangelogHQ is built for it. You have the freedom to invite as many users to contribute in the changelog. Changelogs are important to effectively communicate to users of your software developments. Changelogs should be easy to the eyes that's why we've created minimalist layouts of your changelogs so that your users can easily understand them at first glance. With our hosted changelog system, your customers would love every bit of your changelog. ChangelogHQ gives you the power to manage your software commits. Identify the changes of your projects and stay updated of all activities in one single location. It gives both your team and you users convenience to keep track of any developments. Commits can be a messy affair as you develop your software. Get organized and make use of the categorization feature to better identify all your activities each time new commits are performed. It works best for both you and your users in getting the right information when needed. Some of the other features that is included with every changelogHQ account. Personalize the location of your changelogs by hosting them in your own subdomain. Toggle between projects to edit details of your project developments. We know exactly what customer wants. Freely manipulate the generated data as you desire with our powerful API. The sky is the limit! Changelogs can be downloaded, integrated via API or just view it publicly. Quickly add new projects so that your changelogs are generated as you work. You Only Live Once , So Don't Wait Too Much! A product of Stack Ideas Sdn Bhd — Copyright ©2013 — 2014. All rights reserved. Please check ur email to confirm your registration. Thank you. Sign in for painless changelog building!